THE MAYBELLINE STORY : Making Tom Lyle Proud...I hope! Making Tom Lyle Proud...I hope! 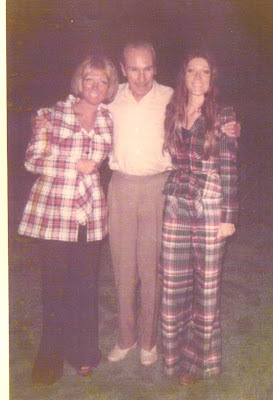 Sharrie Williams with her great uncle Tom Lyle Williams and her sister Donna Williams, 1972. Well, he sold the company two years later, and I never had the chance work for him, but in our conversation I told him I wanted to write a book about him and the Maybelline Company someday. He thought for a few seconds, than said “I really don’t wan't anything written about me.” I looked disappointed, not understanding why he wanted to be forgotten. I hope he would be proud of the way I have portrayed him for posterity as the undisputed king of advertising, and a true pioneer in the cosmetics business.